It is widely recognized that national or regional efforts to restrict the damage of climate change are insufficient and hence that environmental and climate protection needs a global concept. Paradoxically, the way environmental and climate change is perceived and damage is handled is linked to local and regional patterns of perceptions. Dr. Grit Martinez from Ecologic Institute and Prof. Michael Paolisso from the University of Maryland investigate the ways local knowledge and the values of major cultural groups shape understanding and perceptions of climate change risks, and in turn the consequences of that cultural knowledge in terms of vulnerability, adaptation and resilience. 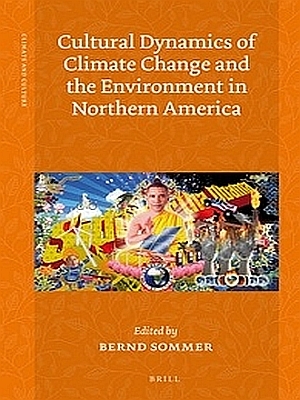 Under the umbrella of the Brill-book series "Climate and Culture" the Institute for Advanced Studies in the Humanities issued the book "Cultural Dynamics of Climate Change and the Environment in Northern America". Despite the rejections of internationally binding climate targets by the United States and Canada, some of the world most ambitious climate initiatives can be found at the local and regional levels in these countries. The volume highlights main local and regional patterns of perceptions of environmental and climate change in past and present times and explains the approaches taken and the perspectives which various representatives and spokesmen bring to the global debates. Authors from various fields such as environmental history, anthropology, sociology, and political science explore the interactions between society and nature in one of the most diverse ecological and cultural regions of the world. For Ecologic Institute, Dr. Grit Martinez is leading author of the chapter "Cultural Dynamics of Adaptation to Climate Change: An Example from the East Coast of the U.S." The investigation was done under the scheme of the FP7 project BASE (Bottom-Up Adaptation Strategies for a Sustainable Europe and RISC-KIT (Resilience-Increasing Strategies for Coasts – toolkit in cooperation with the department of Anthropology of the University of Maryland. The chapter explores the role of culture in relation to local knowledge and values as displayed in the interpretations and actions of distinct groups of residents, concerning adapting to climate change in Dorchester County, Chesapeake Bay. Situated in the Mid-Atlantic area on the East Coast of the US, Dorchester County is at risk due to projected high sea level rise, flooding, salinisation and increased erosion. The research is based on a theoretical position that interpretation of risks and responses by distinct groups are shaped by frames or systems of cultural knowledge and values. Dr. Martinez and Prof. Paolisso investigated the ways local knowledge and values of major cultural groups, shape their understanding and perceptions of climate change risks, and in turn the consequences of that cultural knowledge in terms of vulnerability, adaptation and resilience. The research also includes perspectives of under-represented, poor African Americans for whom threats posed by natural hazards and anthropogenic changes are disproportionately proximate. Furthermore, the views of employees of the local zoning and planning department, were incorporated to allow better understanding of the policy contexts of the study groups’ different cultural perspectives. Methodologically speaking, the findings are based on ethnographic methods (including qualitative interviews with key cultural groups in Dorchester County, and a quantitative survey from a workshop with coastal authorities from several Chesapeake Bay counties) as well as document analysis.The overview is online available. Grit Martinez and Michael J. Paolisso 2015: "Cultural Dynamics of Adaptation to Climate Change: An Example from the East Coast of the US", in: Bernd Sommer (ed. ): Cultural Dynamics of Climate Change and the Environment in Northern America. [Climate and Culture 3]. Leiden: Brill, 304-332.